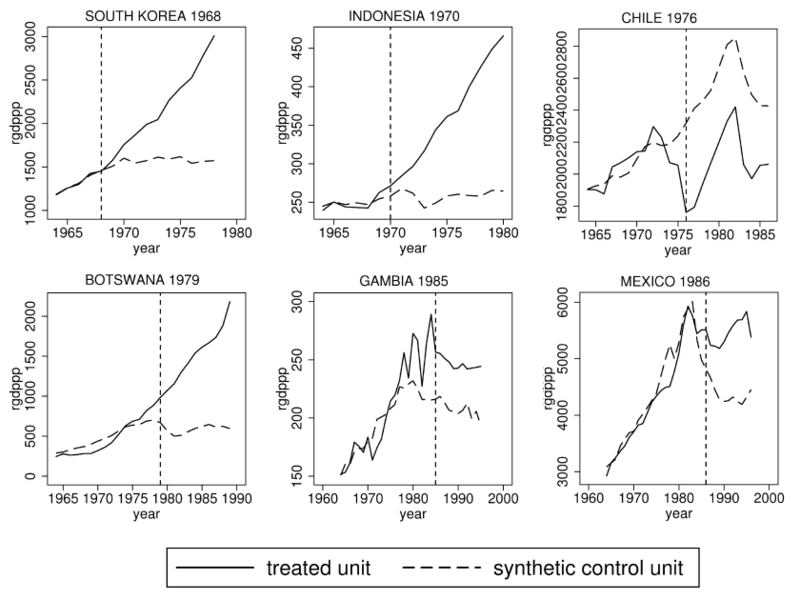 [In Indonesia] the average income over the years before liberalization is literally identical to that of the synthetic control, which consists of Bangladesh (41%), India (23%), Nepal (23%), and Papua New Guinea (13%). After the economic liberalization in 1970, however, Indonesian GDP per capita takes off and is 40% higher than the estimated counterfactual after only ﬁve years and 76% higher after ten years. We find that liberalizing the economy had a positive effect in most regions, but more recent liberalizations, in the 1990s and mainly in Africa, had no significant impact.